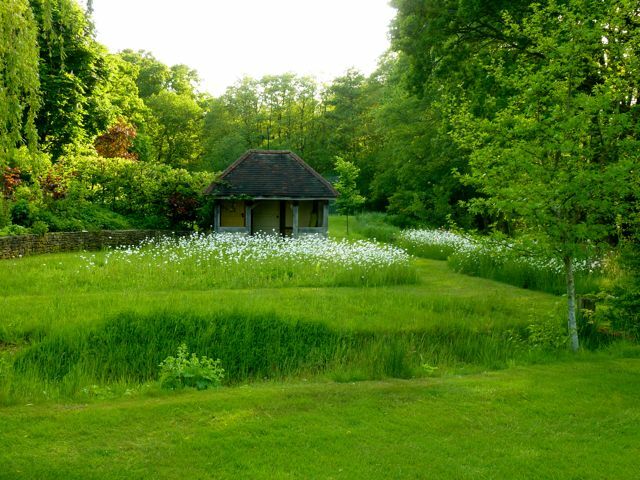 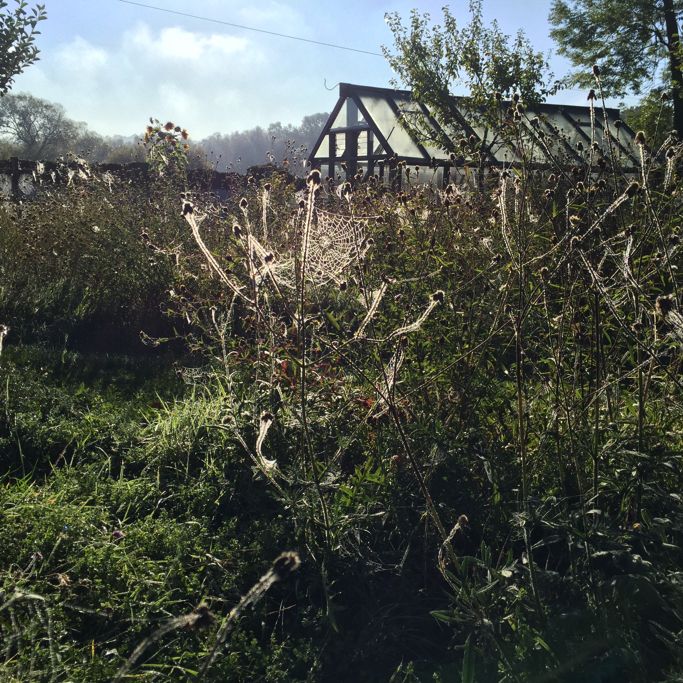 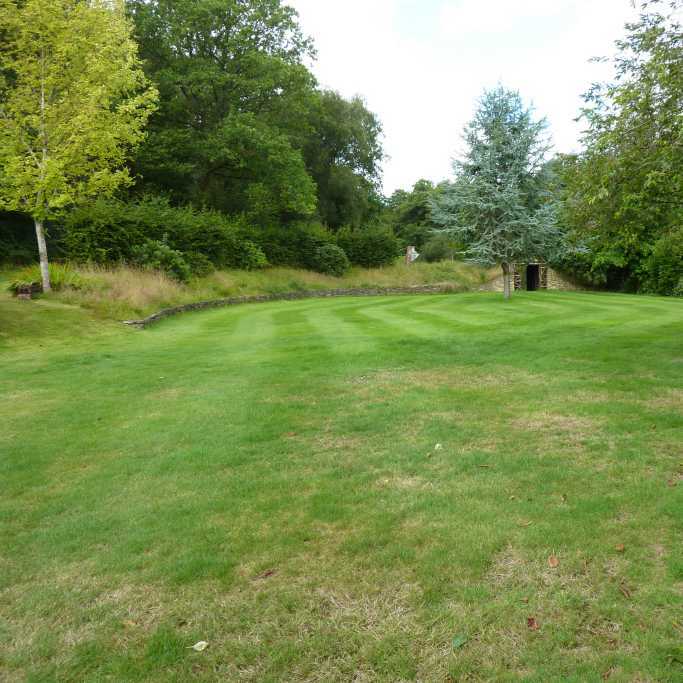 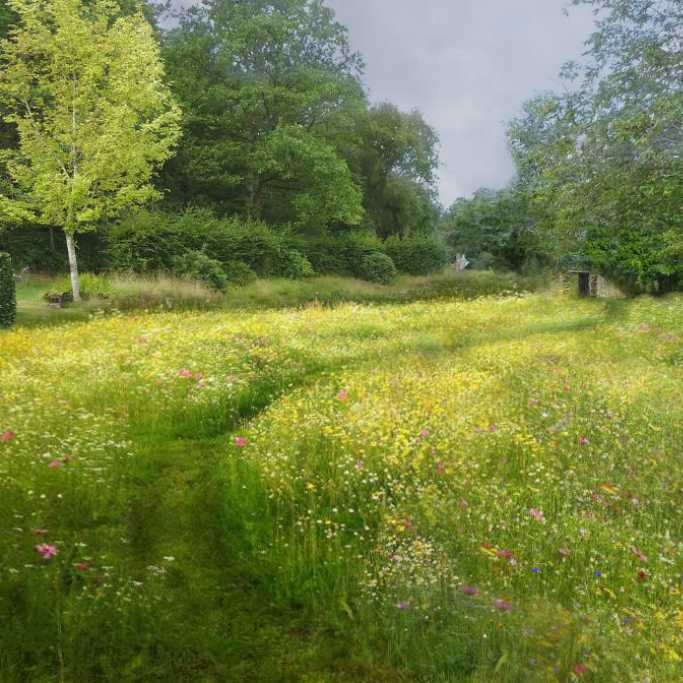 We have tried two different approaches to creating meadows from existing lawn areas in this large country garden: stripping the turf and then sowing wildflower seeds, plus planting perennial wildflower plugs into existing turf. 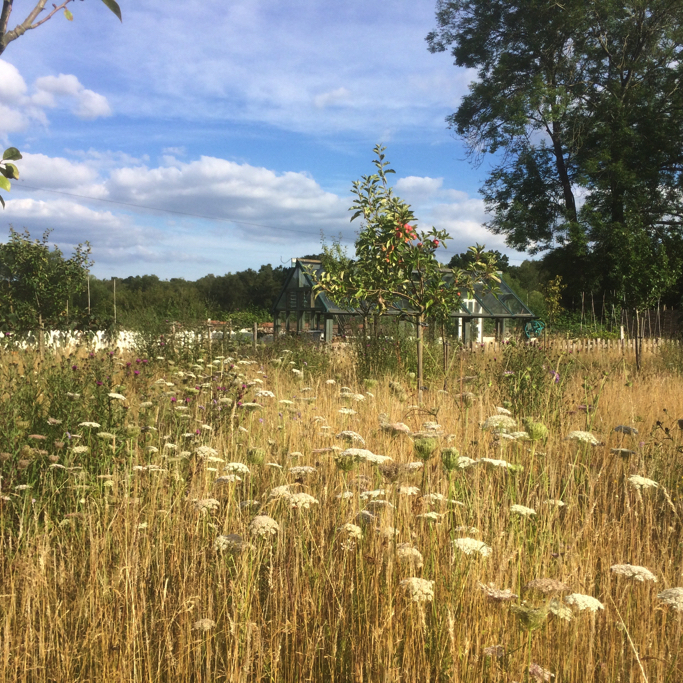 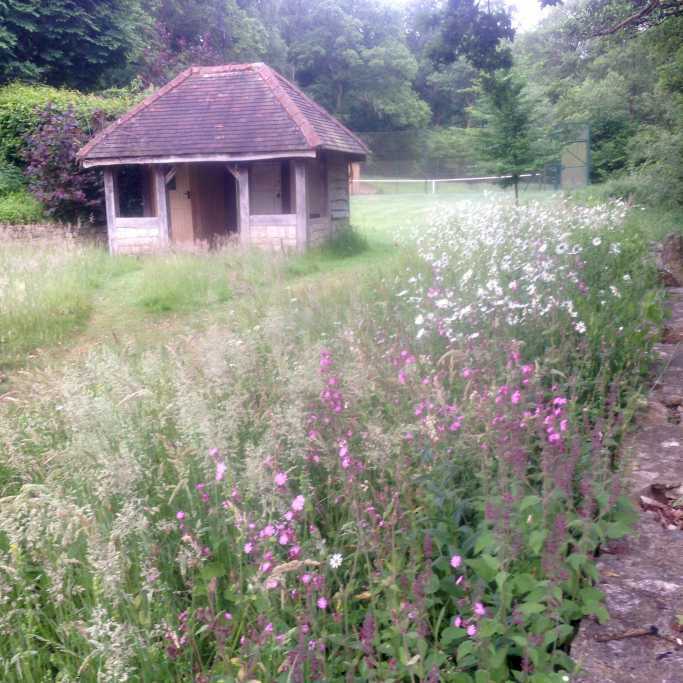 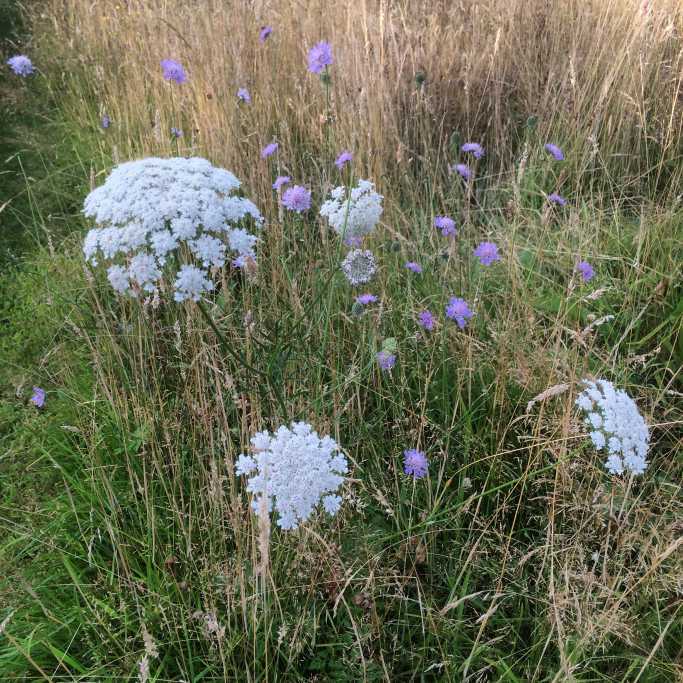 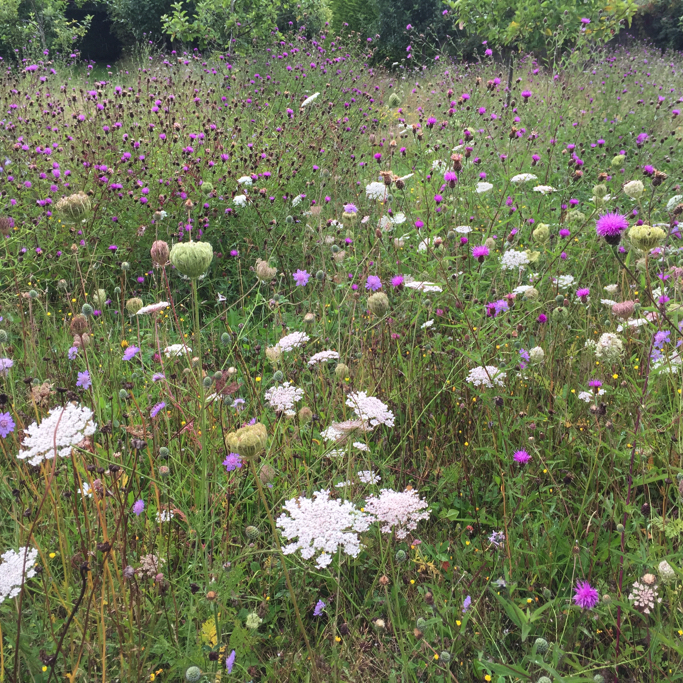 The turf-stripped and seeded areas have resulted in a greater density of wild flowers, but less variety and it required patience – the soil became very waterlogged during the very wet summer of 2012 and some of the annual wildflower seeds didn’t survive. 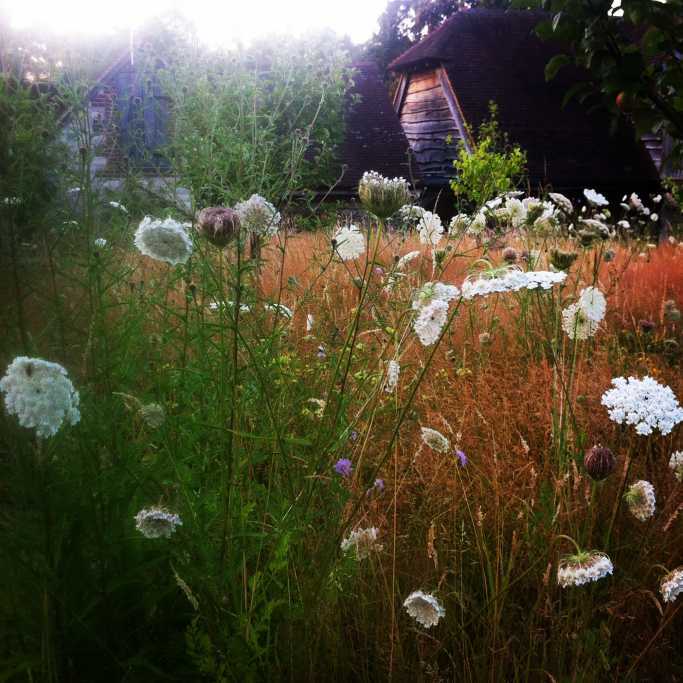 I sowed a mix of pictorial meadow seeds and perennial wildflower seeds, so by the end of the first summer the pictorial non-native annuals were flowering well and the perennial wild flowers (oxeye daisies and wild carrot) were covering the soil and gaining strength to flower in the second year. 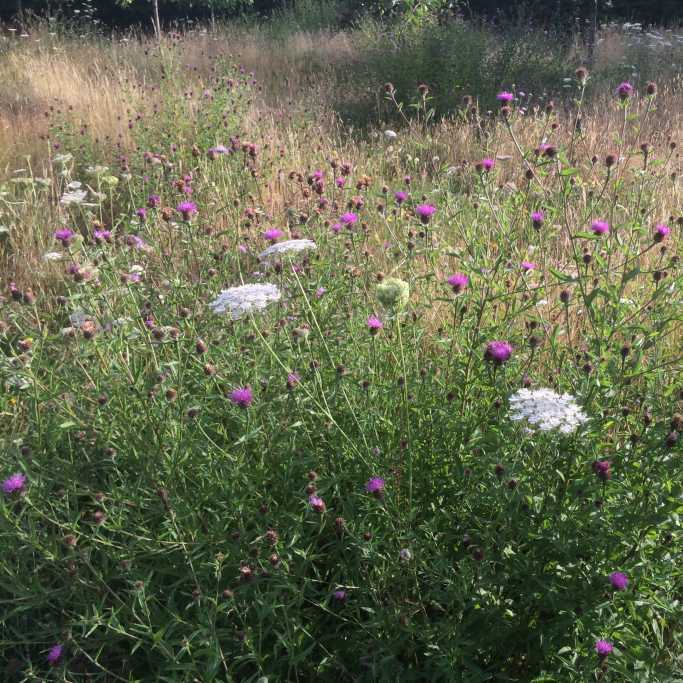 The perennial plugs planted into the new orchard in the winter of 2011 were slow to establish, especially because the existing grass became very tall and lush after the heavy rains in the summer of 2012. 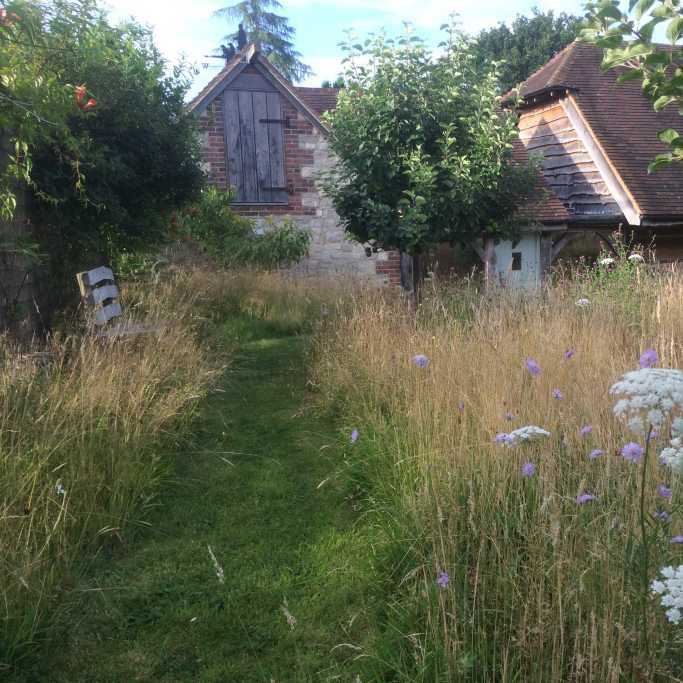 In their second summer (2013) they are flowered well and the yellow rattle seeds that we sowed started to slow the grass down. 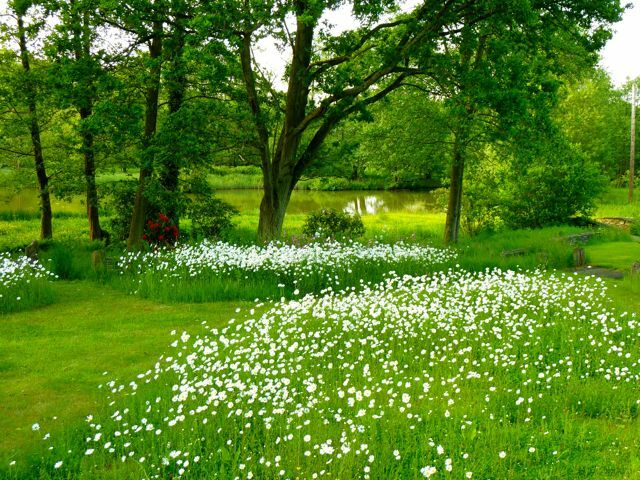 There are large areas of clover forming, much loved by bumble bees. 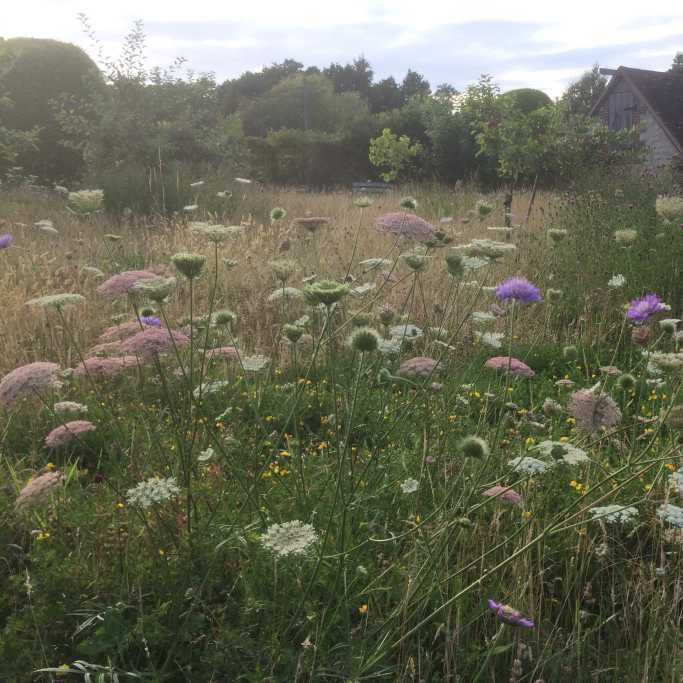 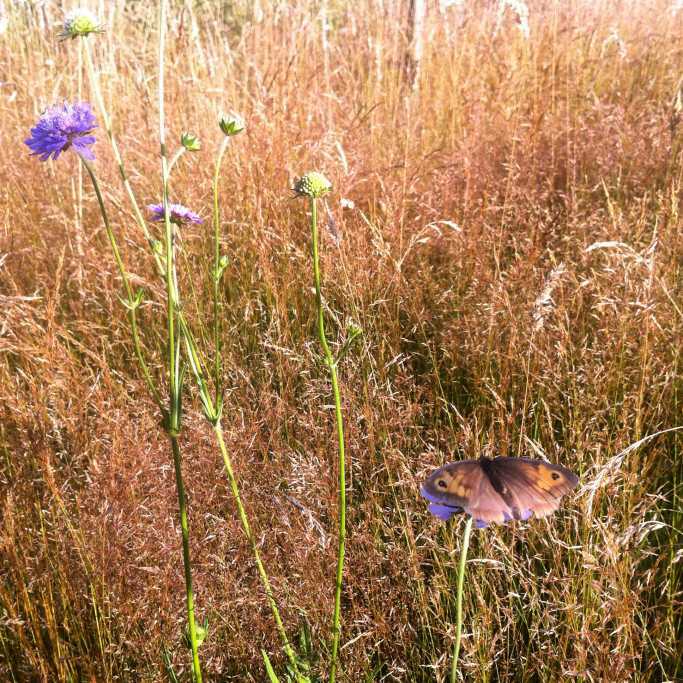 The scabious, knapweed and wild carrot plugs have all done well. 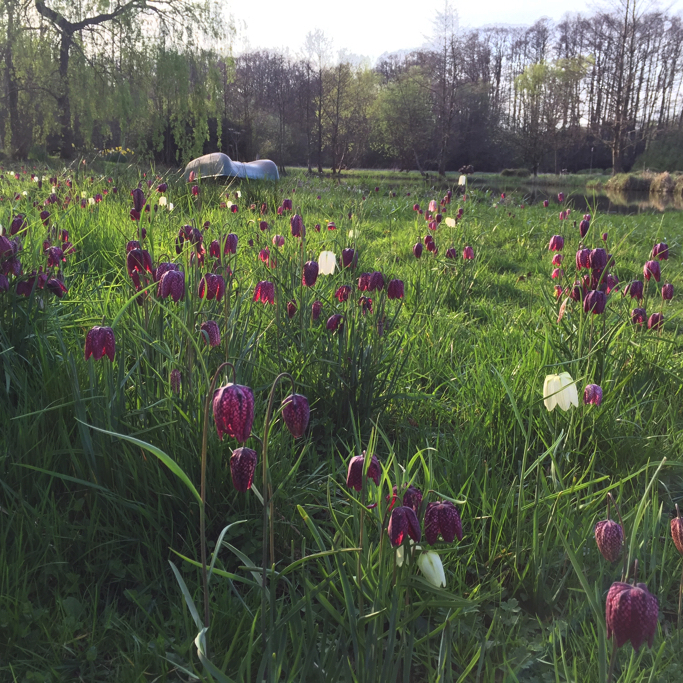 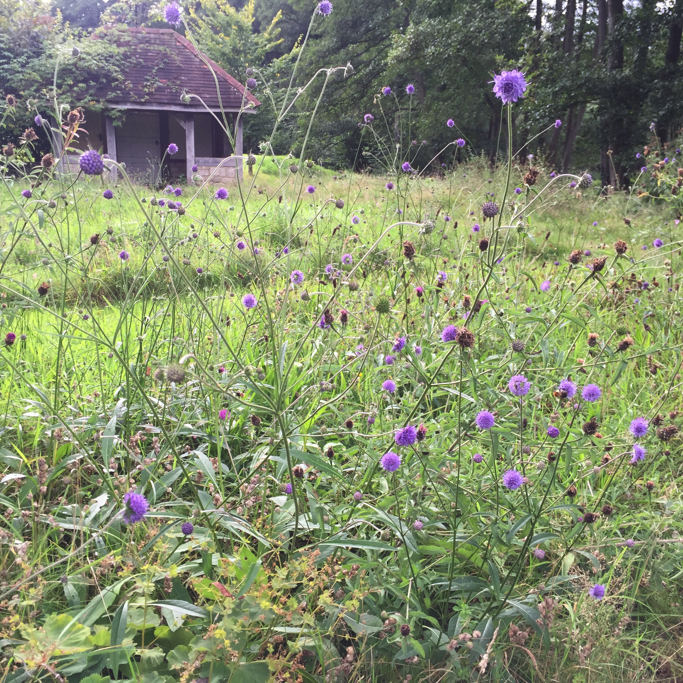 The plug plants we have planted on various grassy banks around the garden – which used to be strimmed regularly – are also doing well and a few orchids and other existing wildflowers have started to flower now that the grass has been left to grow all summer. 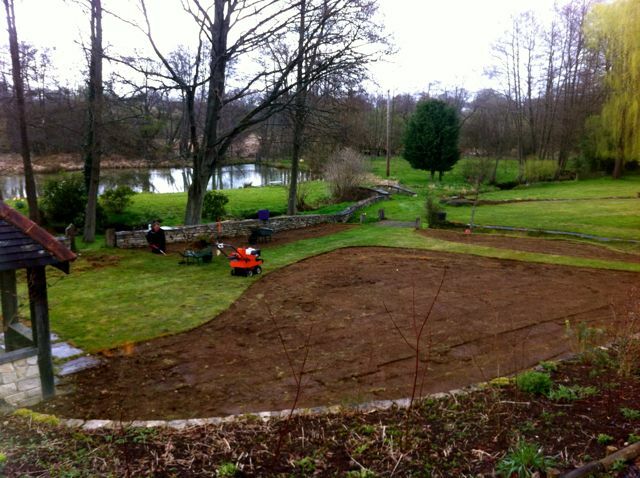 Stripping the turf off and sowing seeds is a drastic and risky approach because unwanted seeds can colonise, but I think it is worth it if the existing grass is too vigorous for plug plants to compete – there is no need to sow grass seed with the wildflowers, because these will come on their own. 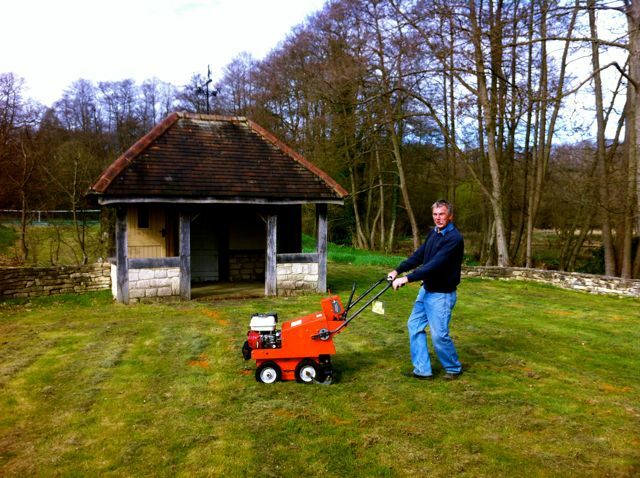 Peter with the turf stripping machine.